Last year had its ups and downs for the crypto community. Bitcoin surprised skeptics and alarmists, approaching some all time highs towards Q4. 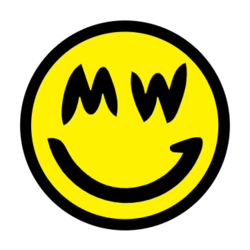 However, many in the smart contracts camp were left heartbroken. It began with a sense of optimism with Ethereum’s long anticipated Homestead release, which was soon depressed by the infamous DAO hack. The immaturity of blockchain smart contracts seemed to be uncovered by this incident, leaving many investors and developers with the bitter impression that smart contracts are still very far away from causing any significant industry adoption. While the gap between promises and reality left the Western market in a state of sensation-fatigue, China seems to be picking up the pace. Backed by heavy government endorsement, the emerging Asian blockchain industry might just turn the tables on the state of decentralized computation in 2017. One especially interesting initiative is the “Qtum Foundation” - a Singaporean entity overseeing the development of a business oriented blockchain stack to promote the broad adoption of dApp technology. The Qtum blockchain, developed by the Qtum Foundation, is a Turing-complete smart contracting platform, stacked upon a modified version of the Bitcoin blockchain. Qtum claims that this architecture should solve many instability issues and allow smart contracts to be executed in business-crucial environments that were until now out of reach for Ethereum-powered applications - including mobile devices like smartphones and tablets. The project is backed by an extensive list of impressive investors and advisors, including Anthony Di Iorio, Ethereum Co-Founder and CEO of JaxxWallet, Chen Weixing, founder of Kuaidi, the Chinese version of Uber, Jeremy Gardner, co-founder of Augur and EIR at Blockchain Capital, David Lee Kuo Chuen, founder of LeftCoast & Advisor at Libra, as well as Bo Shen, Managing Partner at Fenbushi Capital to name a few. Corresponding with China’s ambition to create a standardized blockchain environment for legacy business use cases, Qtum aims to bridge the existing gap between blockchains and the business world by allowing smart contracts to consistently adhere to changing commercial rules and regulations. With Qtum, DApps can trigger real-world, off-chain data inputs, auditable by a verified Oracle or trusted mediator - while the contract’s essential elements, such as participants and authorization structures, are secured on the blockchain itself. With this, an authorized party is able to audit certain aspects of a contract, while its elemental properties remain protected by the decentralized environment. 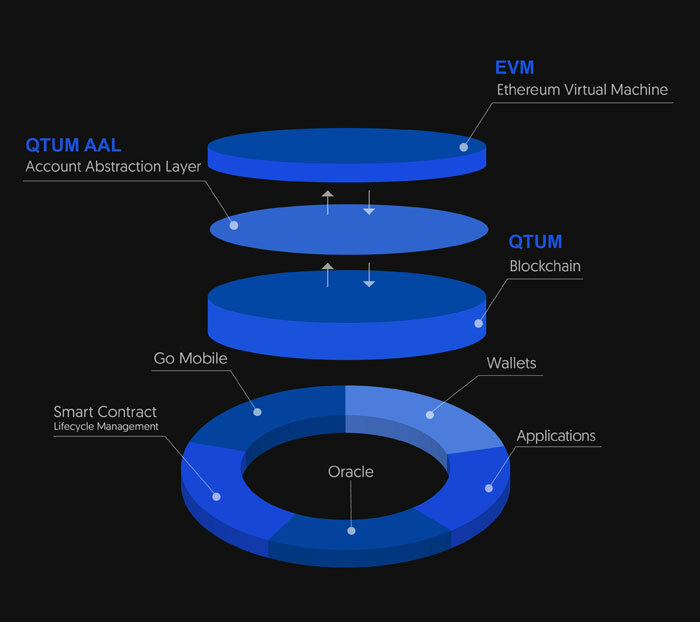 Since Qtum employs Ethereum’s Virtual Machine (EVM) for the execution of smart contracts, the system is compatible with existing Ethereum applications. Qtum’s Bitcoin-based blockchain, nonetheless, also allows the stack to be mostly consistent with the Bitcoin ecosystem, which is especially interesting due to the millions of dollars already invested in this space. For example, if a payment gateway accepts bitcoin today, it already holds the potential to support Qtum transactions without any significant modifications. This would allow Qtum smart contracts to interface with the two largest existing decentralized environments, making the lives of developers and entrepreneurs in this industry much easier. The 17th five-year plan, recently published by the Chinese government, lists blockchain technologies among the main development directions in the PRC’s information planning document. China’s Central Bank, the PBOC, has also signaled support for blockchain, with the bank's chief, Xiaochuan, stating to the press that it had spent "significant resources" researching the technology. With a large part of Qtum’s team based in China, Qtum could capture the demand for local blockchain solutions. Qtum would be the first major blockchain project coming out of Asia. The team is also being supported with its project management by PwC, something no other blockchain project can claim. With the kind of institutional backing and the investor interest that Qtum has, it seems that 2017 holds loads of potential for blockchain enthusiasts. 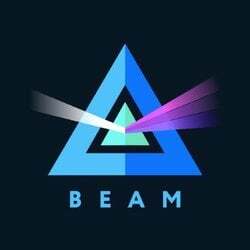 CoinGecko looks forward to seeing what the Qtum team produces.